Ninety-two patients with gastric cancer were randomly divided into a fast-track surgery group (n = 45) and conventional surgery group (n = 47). We compared outcomes (duration of postoperative stay in hospital, fever, and flatus, complications, and medical costs); postoperative serum levels of tumor necrosis factor-α, interleukin-6, and C-reactive protein; and resting energy expenditure between two groups. 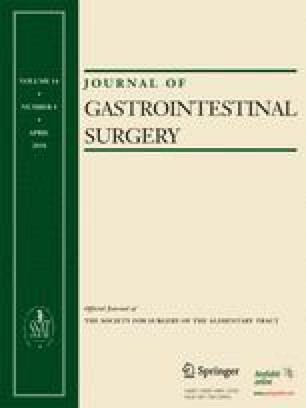 Compared with the conventional surgery group, the fast-track surgery group had no more complications (P > 0.05) with a significantly shorter duration of fever, flatus, and hospital stay, and less medical costs as well as a higher quality of life score on hospital discharge (all P < 0.05). With a significantly lower resting energy expenditure (days 1 and 3) postoperatively (P < 0.05), the fast-track surgery group showed a lower serum level of tumor necrosis factor-α (days 1 and 3), interleukin-6 (days 1 and 3), and C-reactive protein (days 1, 3, and 7) than the conventional surgery group (all P < 0.05).